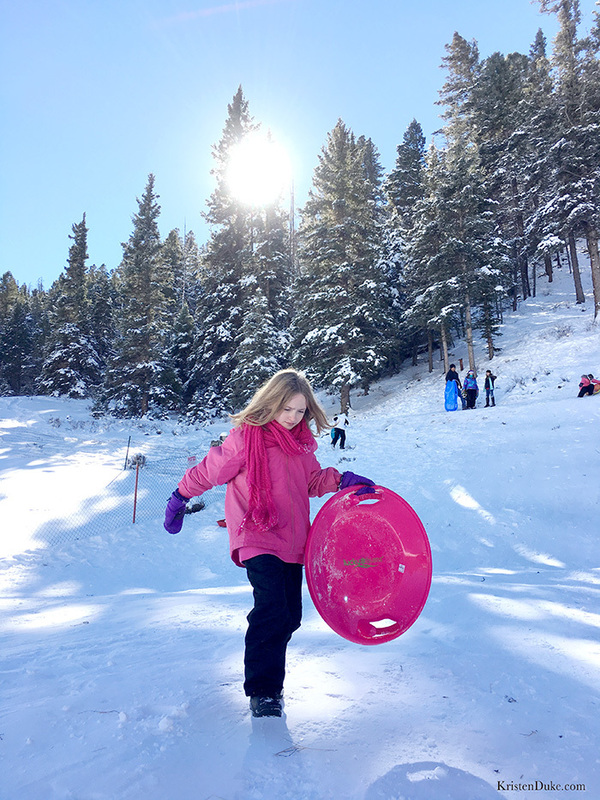 If you’re looking for a great low key family friendly resort, check out Taos New Mexico Skiing, because we had a great time there! 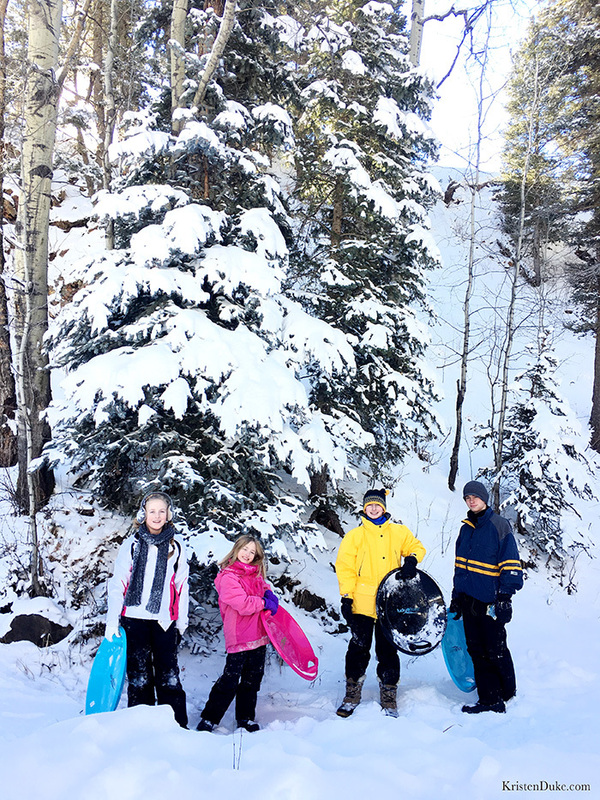 Last week, I shared about our trip to Tao with my post on Taos Ski Valley Lodging, and the fabulous house we rented, today, I’m sharing about our ski/sledding adventure. 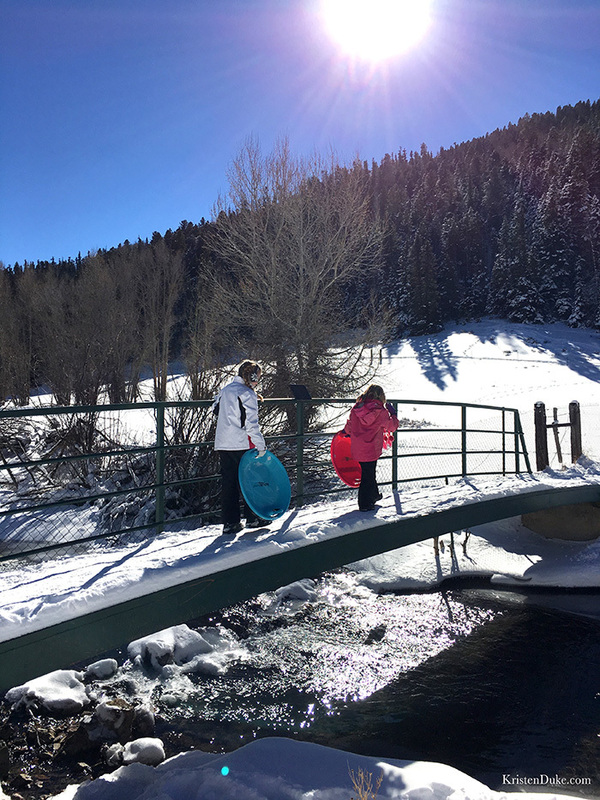 If you love to ski, you’ll love Taos as a hub, because it’s got 3 ski slopes really close to each other. Sadly, I didn’t have my fancy camera, and all are shot with my iphone. Sometimes it works out ok, sometimes not so much. 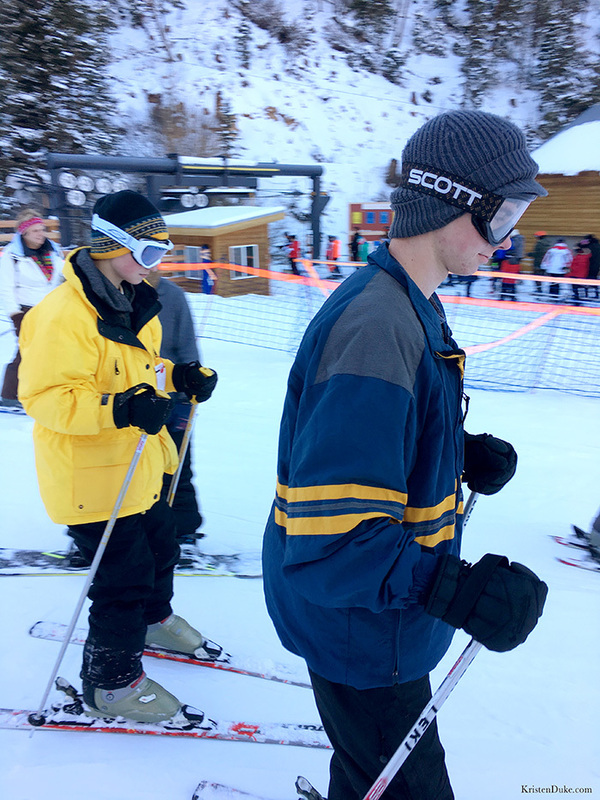 Let me start by saying…I went skiing about 18 years ago, and that was good enough for me! I’m not much of a thrill seeker, and it actually made me nervous, so I’m ok to never do it again. 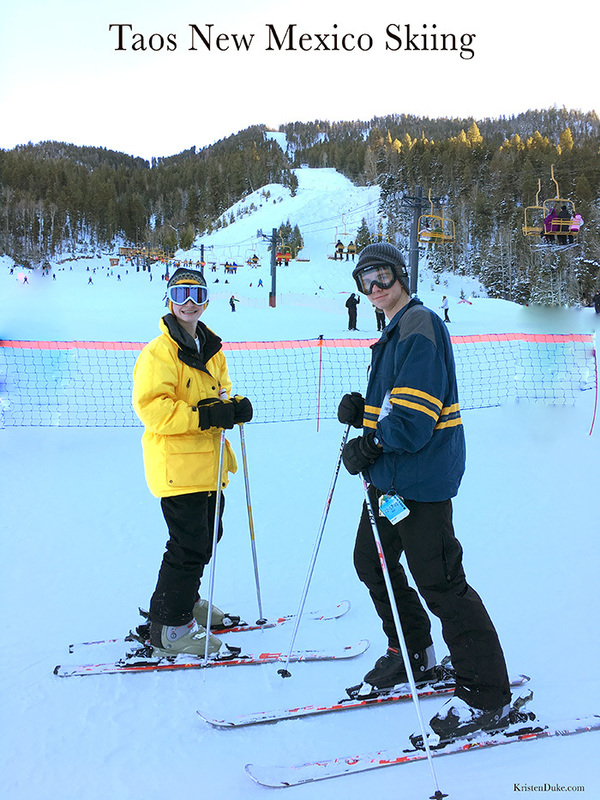 But my boys learned a year ago in Utah, and my husband enjoys it, so we figured we needed to spend at least 1 day dedicated to skiing. The girls and I, we found other fun! We drove up to the town for Red River for our ski day. I actually was debating about booking a condo with a small kitchenette in Red River. It was SUCH a cute little town, and I would have stayed there, but I really wanted a house and couldn’t find one last minute. 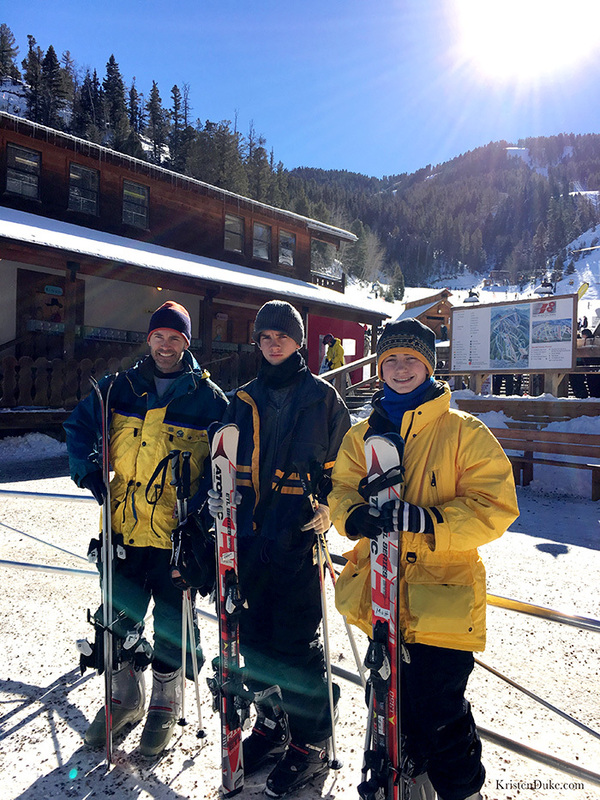 I had not heard a lot about the Red River Ski Area from those that had been to Taos, but I really liked it. 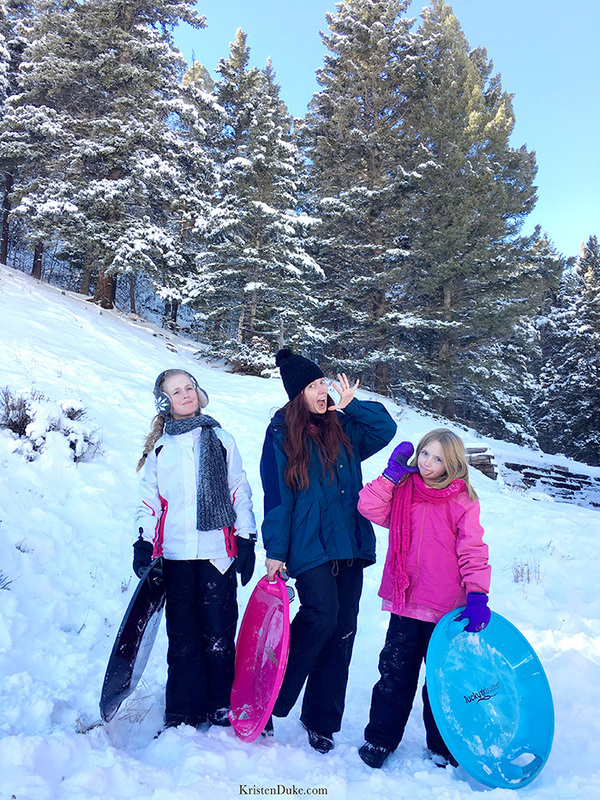 My 3 boys were going skiing, I opted out, and by default my girls came along with me. 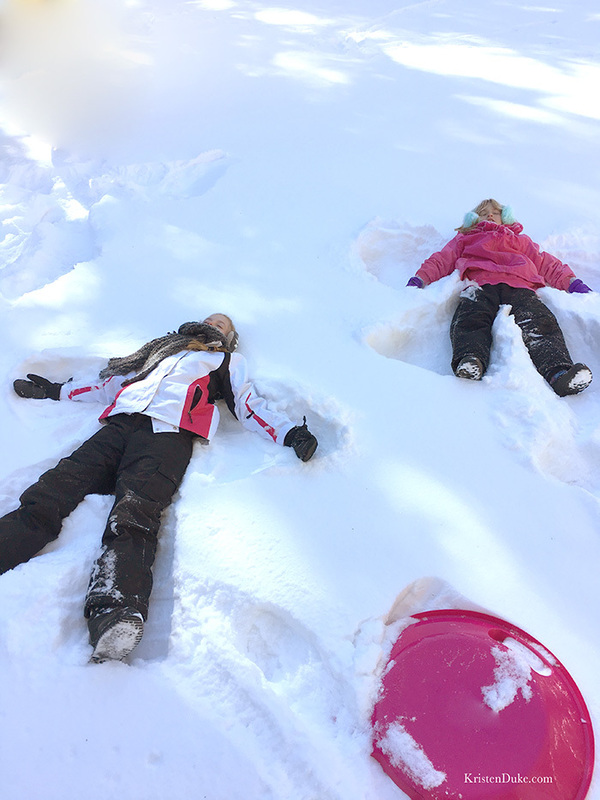 My oldest daughter was hesitantly interested in skiing, but we thought we’d try it next time. My husband wanted to go just one day, and since my boys only went for the first time a year ago, we thought once was just fine. 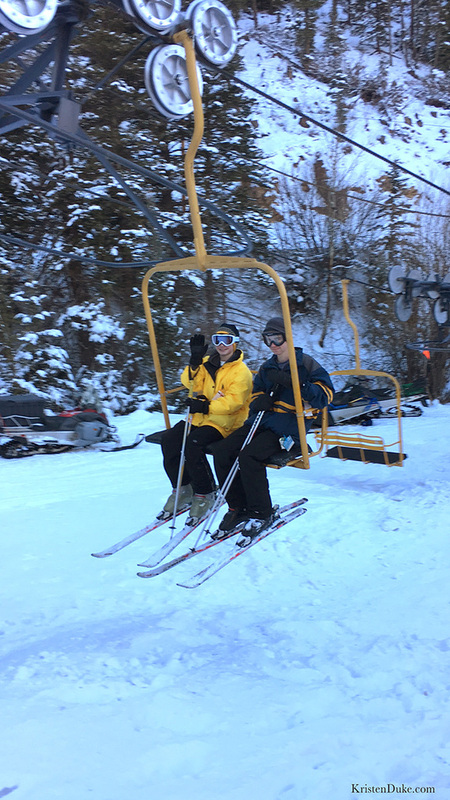 We’re not interested in taking yearly ski trips! 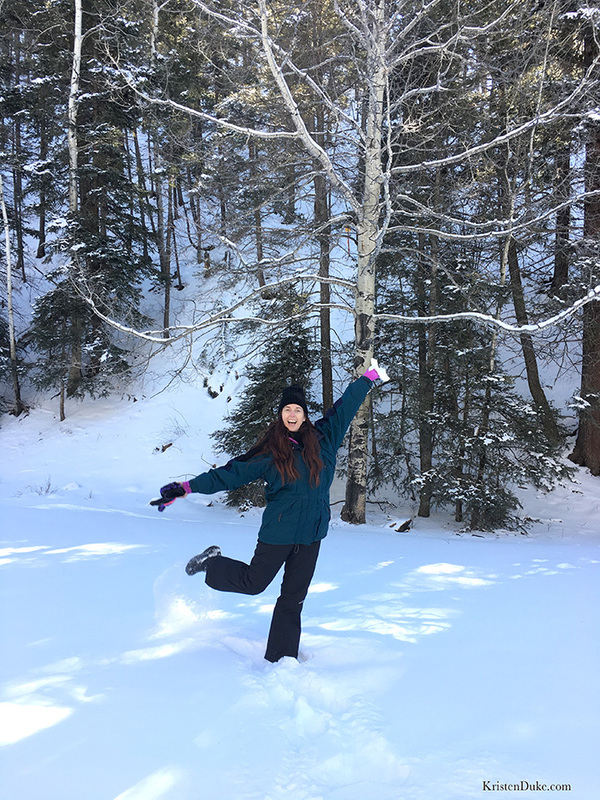 I also chose Red River because I was excited to explore a quaint little town, and the other 2 resorts were mainly just that…resorts. We rented their ski equipment from Sitzmark, just about 2 blocks from the resort. It was cheaper, and the staff was SUPER friendly and helpful. I had to be pulled away by my family after talking to a local guy whom I was chatting with. Just about growing up in this town of 400, how he got his degree in tourism, then came back to the town he loves. Small towns fascinate me. 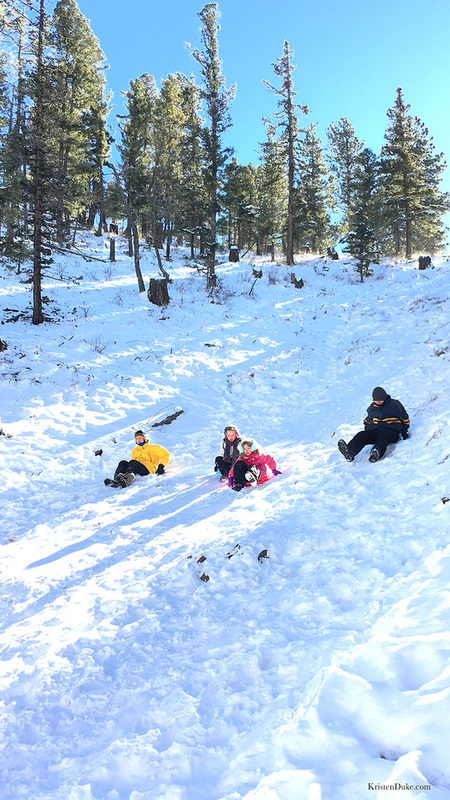 Before the boys took off skiing, we all went to sled, and it was the first real chance we got to play in the snow. 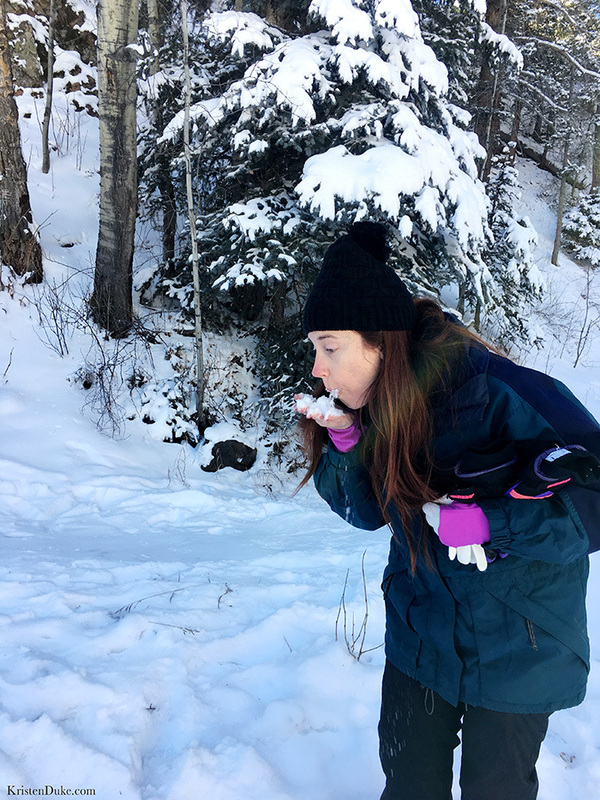 Fresh snow is just like heaven. 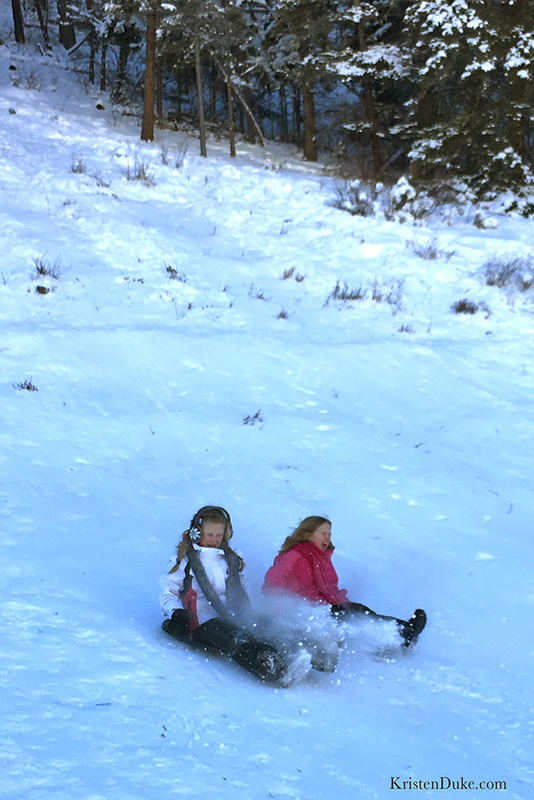 After dropping off our boys, the girls and I headed to a few spots we’d read have great sledding hills. 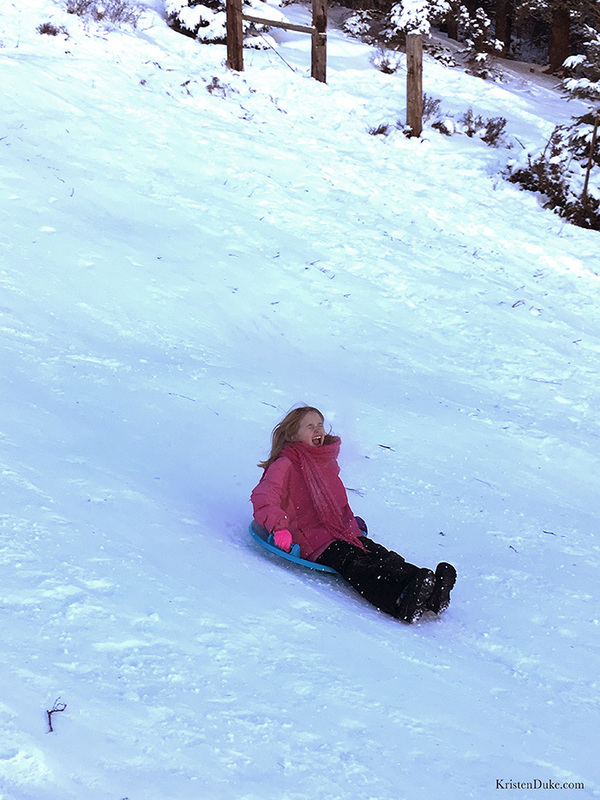 Though I spent more than I would have liked on 4 circle sleds with handles, we had a grand ole time sledding. I even went down a few runs! I am generally happy as a clam just taking pictures and not doing anything that might cause a bump or a bruise. I even got back up and went again after sliding off, bumping my head so much that my hat came off (and a nice stranger ran it over to me after). After sledding, we got some fudge at a local candy shop, I dropped off my Christmas letters at the post office, and we did a little Christmas shopping. We had a great time! I was so happy that the boys also had fun, it was a great day all around! We came home to the cute little house we rented, build a fire, made some yummy food, played a game at the table, and ended the evening with a relaxing Christmas movie. If you missed my first post where to stay in Taos, check out our cute little rental!